The prison and the world need positive leaders. These leaders must not only accomplish, they must communicate. By regularly giving speeches, gaining feedback, leading teams and guiding others to achieve their goals in a supportive atmosphere, leaders emerge from the Toastmasters program. Every Toastmasters journey begins with a single speech. During their journey, they learn to tell their stories. They listen and answer. They plan and lead. They give feedback—and accept it. 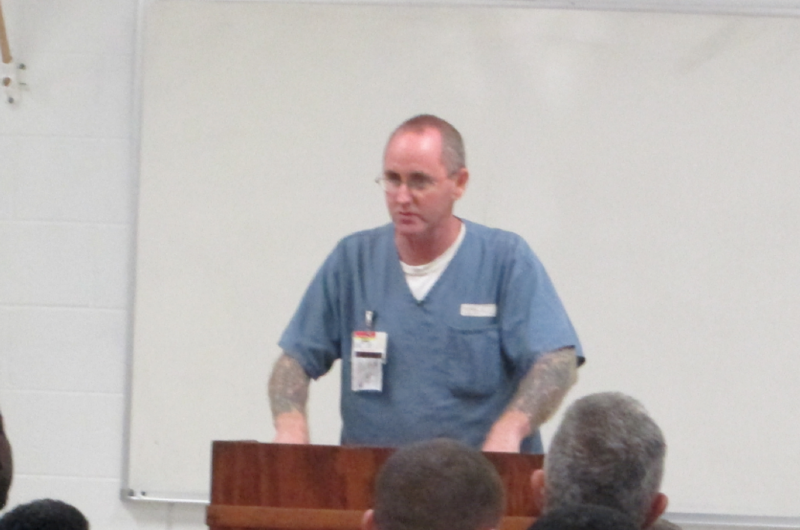 Through our prison community of inmate learners, they find their path to leadership. 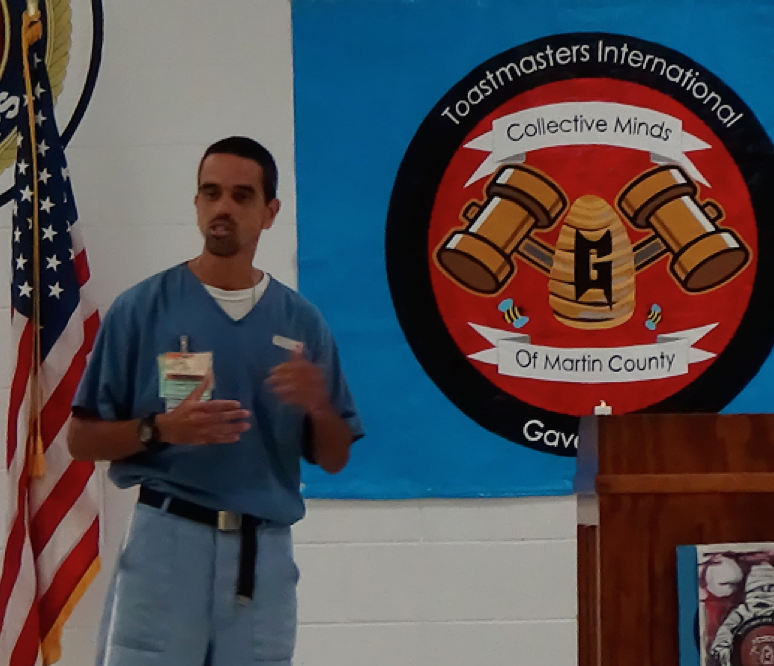 One of our inmates was awarded the prestigious Advanced Gavelier Silver Communicator Award by Toastmaster International. 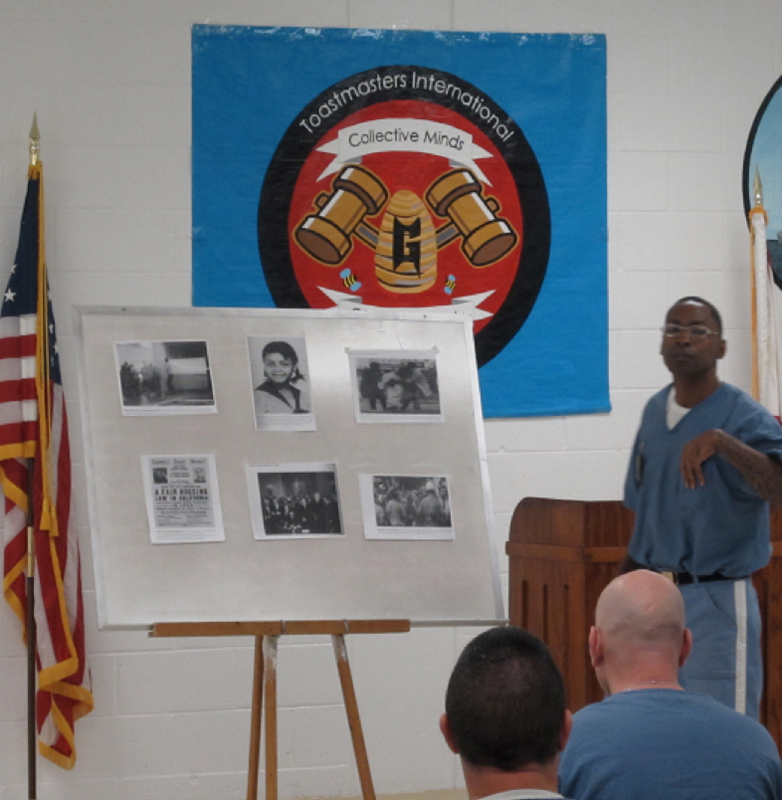 But of course, the most important value of the program is the development of self confidence and a positive self image for the inmate.